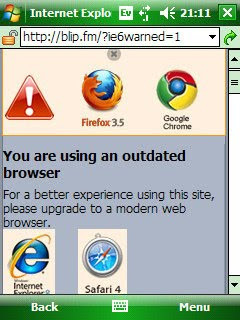 According to blip.fm, the Internet Explorer packaged with Windows Mobile 5.2 (Released in 2007) is not a modern web browser. I think they may be right. 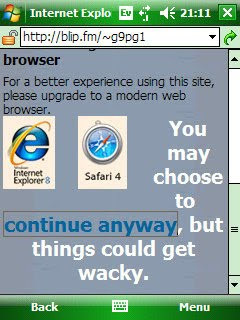 Thanks for the warning that things could get wacky. I wish I could put any of the recommended browsers on this device. Okay, things got wacky. 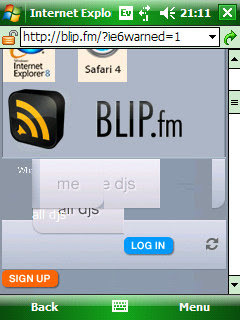 The site doesn't work in this browser.